Leading the Imperial Trans-Antarctic Expedition, Sir Ernest Shackleton’s ship Endurance departed South Georgia Island for the continent of Antarctica on the 5th of December 1914. The 28 men and 70 dogs were to cross Antarctica, 1800 miles on foot! But, as the ship sailed south, it encountered ice. On the 19th of January, the Endurance became frozen fast in an ice floe. The ship, captive in the ice, drifted slowly northward. When spring arrived, the breaking ice put extreme pressures on the ship hull. Until this point, Shackleton hoped the ship would be released from the ice. But, on 24 October, water began pouring in. Shackleton gave the order to abandon ship. Men, dogs, provisions and equipment were transferred to camps on the ice. Sadly, the Endurance finally slipped beneath the surface on 21 November 1915. For the next two months, Shackleton and his party camped on a large, flat ice floe, hoping it would drift toward the supplies on Paulet Island, approximately 250 miles away. By 17 March, their ice camp was within 60 miles of Paulet Island. Unfortunately, the expedition was isolated by impassable ice and they were unable to reach their desperately needed supplies. On 9 April, their ice flow broke into two, and Shackleton ordered the crew into the lifeboats, to head for the nearest land. After five harrowing days at sea, the exhausted men landed their three lifeboats at Elephant Island, 346 miles from where the Endurance sank. This was the first time they had stood on solid ground for 497 days. Elephant Island was an inhospitable place, far from any shipping routes. 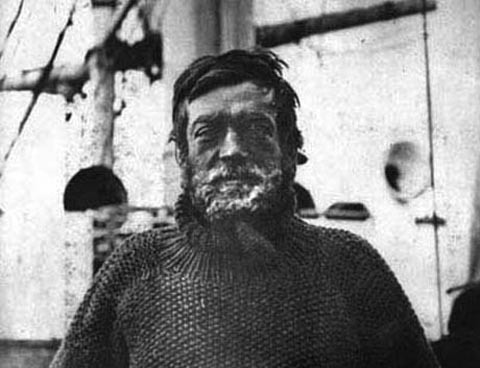 Consequently, Shackleton decided to risk an open-boat journey to the 800-nautical-mile-distant South Georgia whaling stations. Help was available there. The strongest of the tiny 20-foot lifeboats was chosen for the trip. Ship's carpenter Harry McNish made various improvements, including raising the sides, strengthening the keel, building a makeshift deck of wood and canvas, and sealing the work with oil paint and seal blood. Shackleton chose five companions for the journey: Frank Worsley, Endurance's captain, who would be responsible for navigation; Tom Crean, who had "begged to go"; two strong sailors in John Vincent and Timothy McCarthy; and finally the carpenter McNish. 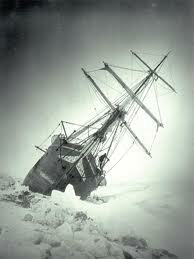 Shackleton had clashed with McNish during the time when the party was stranded on the ice. But, while he would not forgive the carpenter's earlier insubordination, Shackleton recognized his value for this particular job. Shackleton refused to pack supplies for more than four weeks, knowing that if they did not reach South Georgia within that time, the boat and its crew would be lost. Shackleton launched the rescue on 24 April 1916. So, this week I retell this story to remind us that it doesn’t really get that cold in Pamlico County! Cold is a relative experience! Read my column next week to learn the outcome of the ill-fated Imperial Trans-Antarctic Expedition of 1914 and the fate of 22 men marooned on Elephant Island. And, join me at http://www.Facebook.com/WhatAReliefwithJulieRahm.